Hot town, summer in the city—back in the People’s Democratic Republic. Baby yoga, baby bumps, swimming pool brewery, baby’s first jazz club, and…a Communist-themed night out. 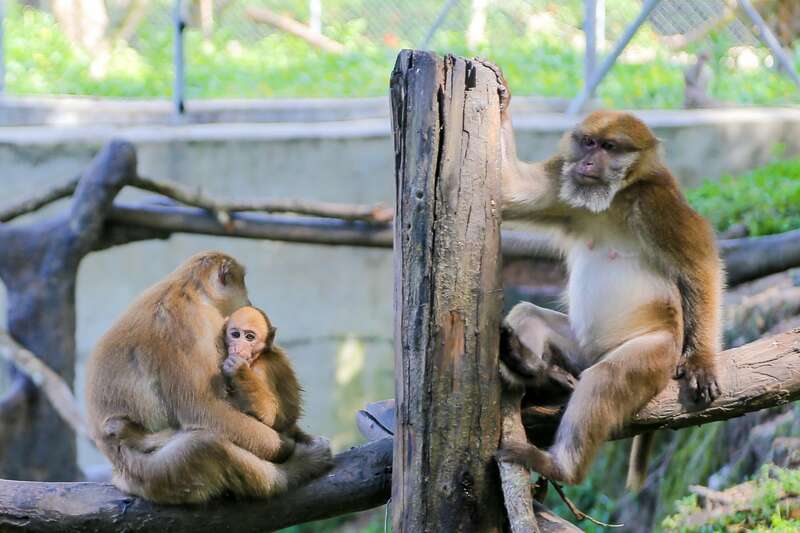 The Lao Zoo may just be the most misunderstood zoo in Southeast Asia. The national zoo of Laos isn’t even really a “zoo” at all, but something far more interesting. Exploring the rural Lao community around our weekend island retreat with friends. 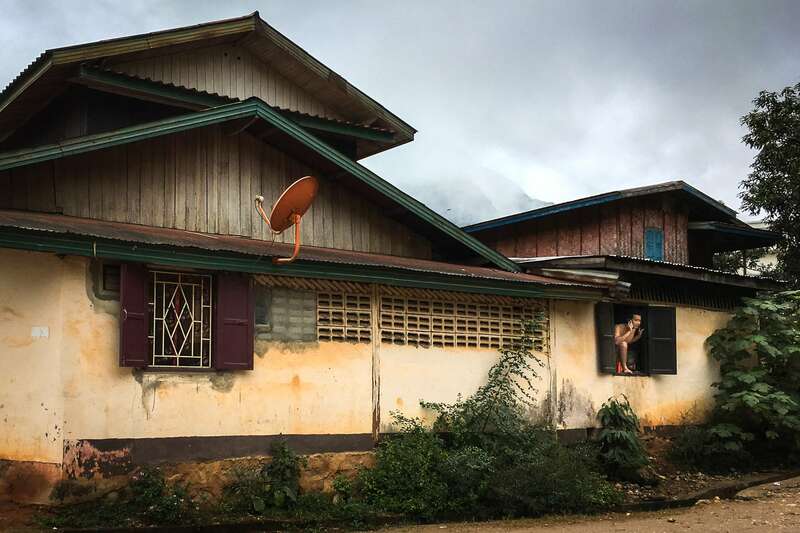 A traditional Lao house moved, piece-by-piece, to the tranquility of a riverine island — off the grid and completely offline. Yep, this is one special place, and one we’re not divulging the location of any time soon! The Garden of Love, a tenacious fern, the gourmet hotdog of death, Houdini strikes again, fountains and dinosaurs, and…a lime. Sleepy and languid by East Asia standards, Vientiane, Laos will surprise you with its diversity of cuisine, quirky sights, friendly locals, and sense of ease. Checking in on one of our favorite area parks and celebrating Lori’s employer’s new name and rebranding, Lao style. Back to the Adventure Capital of Laos with Uncle Dan and Aunt Lauren, where sunsets (and sundowners) rarely disappoint. 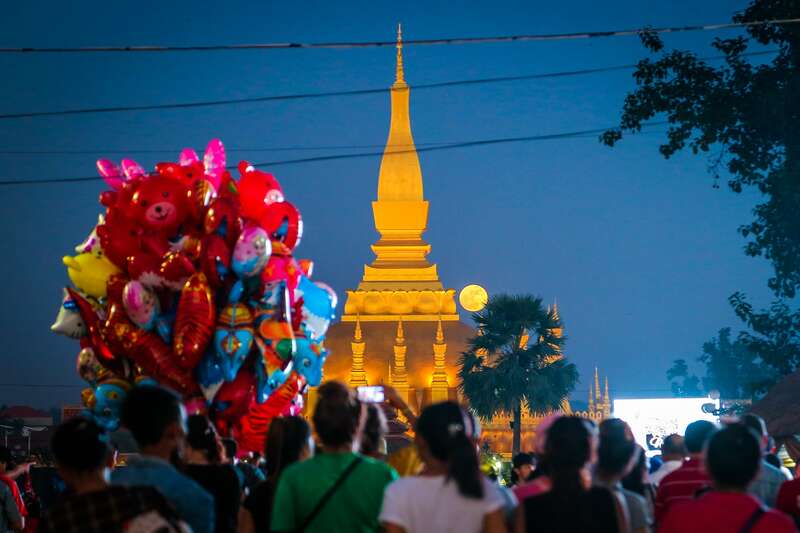 Lori’s brother and fiancee come to town for ten fun-filled days, rounding out the 2017-18 Vientiane visitor season. A birthday, a wedding, some dancing, and a short break between visitors. 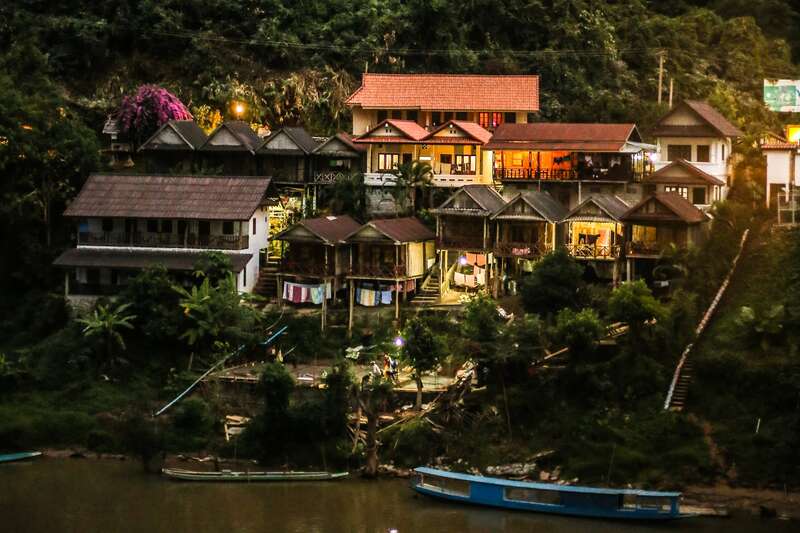 Luang Prabang is a funny place — and even funnier in peak season. In Vientiane, no reservations? No Problem! In Luang Prabang…oh boy. Our last post of 2017 takes us back to Luang Prabang! A journey over the mountains, world-class cuisine, and fish slippers await! 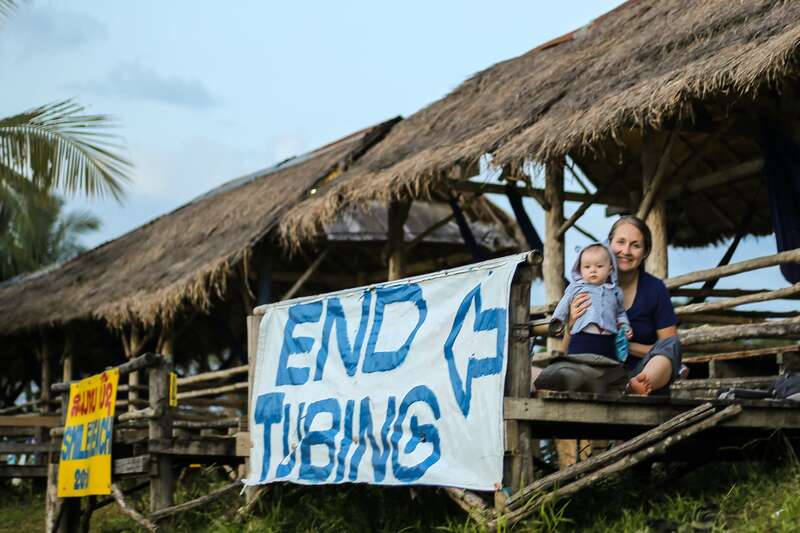 We follow a dying boat route to three isolated hill tribe villages, up a Mekong tributary poised to be dammed in seven locations. We venture to the remote north of the country, covering our first new territory in Laos in 13 months.